At a time when the world is more connected than ever and engagement is increasingly crucial, the Emirates Leadership Initiative (ELI) Graduate Fellowship provides the critical framework for preparing the Arab world's next generation of leaders. 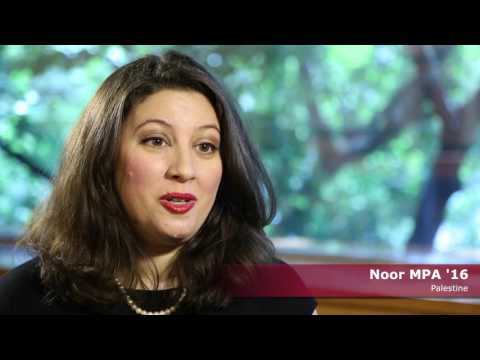 The Emirates Leadership Initiative Fellowship not only allows Harvard to bring some of the most talented and ambitious future leaders from the Middle East to the U.S. to study, but it also enables students from the U.S. and other parts of the world to deepen their own understanding of the region and to learn from some of its leaders first-hand. The Fellowship is part of the Emirates Leadership Initiative, a research and curricular collaboration between the Center for Public Leadership (CPL) and the Middle East Initiative (MEI) at HKS, and the government of the United Arab Emirates (UAE). Step 2: Apply for the Fellowship: Application deadline for the Emirates Fellowship is early February, 2019. To apply for the ELI Fellowship please visit the Student Financial Services web site. Finalists for the Emirates Leadership Initiative Fellowship will be interviewed in February, 2019 by members of the Emirates Leadership Iniative Fellowship Selection Committee. Emirates Leadership Initiative Fellows are awarded a full tuition scholarship, living stipend, and health fees for the duration of their graduate degree program. Applicants will be considered based on their demonstrated academic excellence, work experience, and committment to public service and leadership in the Arab world. Fellows will be required to participate in a robust co-curricular program offered by the Center for Public Leadership. This fellowship is open to applicants entering their first year of study in any of the Harvard Kennedy School's four masters' degree programs. Each year the cohort will consist of up to ten Emirates Leadership Initiative Fellows—half from the United Arab Emirates and half from other countries within the Arab League. The Emirates Leadership Initiative Fellows are a part of the Center for Public Leadership’s community of graduate fellows and will be required to participate in an enriching co-curricular experience designed to enhance their skills and engage their development as emerging leaders of the Arab world. The co-curricular program typically includes a welcome retreat, a weekly series of speakers, workshops and seminars, as well as opportunities to connect with other Center for Public Leadership fellows and alumni. The fellowship will be open to all admitted master's degree program students who are citizens of countries within the Arab League. The Emirates Leadership Initiative (ELI) Fellowship is open to all admitted degree program students at Harvard Kennedy School hailing from the United Arab Emirates and other countries within the Arab League. Successful candidates demonstrate excellent academic credentials, a deep commitment to public service, and strong leadership potential in the Middle East. Additionally, the Middle East Research Fellowship, part of the Emirates Leadership Initiative, offers one-year pre- and post-doctoral fellowships for research related to Middle Eastern governance and public policy. For more information on Research Fellowship opportunities, click here. Can I still apply if I hold dual citizenship (for example, Canadian and Lebanese citizenship)? Yes. As long as the applicant holds at least one citizenship in a country that is a member of the Arab League, s/he may apply. For additional questions, please visit our Fellowship FAQs page. Recognized as a leader at the cutting-edge of some of the world's most pressing sustainability concerns and as a gateway for business in the Middle East, the UAE is helping to set the standard for new developments in the areas of energy, infrastructure development, and education.